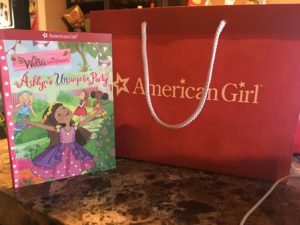 So ever since my oldest was a baby i always wanted to take her to AmericanGirl. 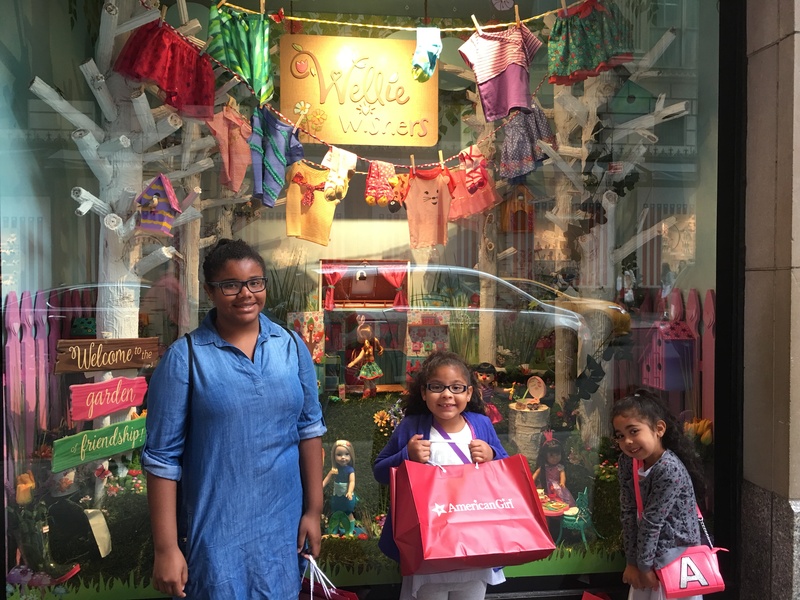 Last week i had the opportunity to take all three of my beautiful daughters to the 5th ave store. 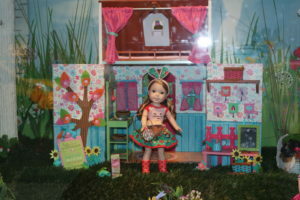 We were so welcomed by the ever so fantastic MomTrends and the delightful AmericanGirl staff. We enjoyed a beautiful morning. We where honored to have Q&A with the wonderful Valerie Tripp. She was so nice to answer all of Alyssa’s and Hailey’s questions. 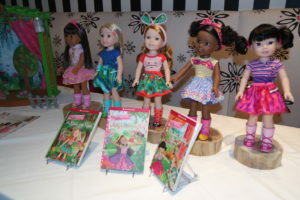 Mrs.Tripp has written all the books for AmericanGirl since the very beginning in Madison,Wisconsin. 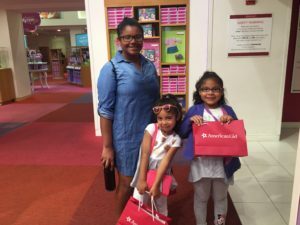 She loves writing stories for little girls to open a world of fairy tales and adventures. 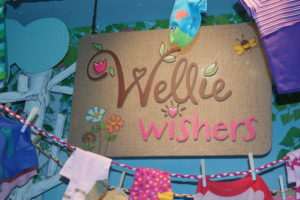 She now embarks in her new adventure of creating new stories for every little girls can create there own with the brand new WellieWishers. My Hailey now hopes to use her imagination to be as good as a writer as Mrs.Tripp. The WellieWishers are a group of 5 best friends. There is Willa, Ashlyn, Emerson, Kendall and Camille. Together they are a group of loving girls who each have the same big, bright wish, to be good friends. When the WellieWishers step into their colorful garden boots,also known as wellies, they are ready for anything-stomping puddles,putting on show, and helping friendships grow. 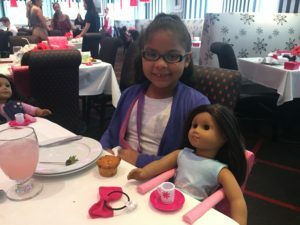 Like all little girls should grow up they are learning being kind and creative and caring isn’t easy(sure isn’t ),but its the best way to make friendships bloom. My daughters and I absolutely love the concept. Especially in the world they are growing up in,its so nice to know they can still use there imagination and meanwhile still learning being kind and generous is always a great quality. 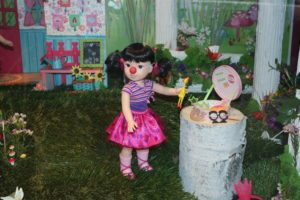 These dolls are smaller than the traditional 18’AG dolls. Also unlike the traditional dolls the price point is less expensive and more affordable at $60 and the books are fairly priced at 5.99. For me thats always important ,price can make or break our buying experience having 3 kids, it becomes difficult sometimes to afford new toys. 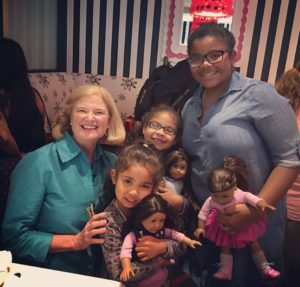 These dolls are beautifully made and stand for something a little more than just a doll. In my opinion it shows the kids playing with them that there’s no rush to grow up. Enjoy your imagination and always be creative and most of all happy .It encourages little girls to stand tall,reach high,and dream big. 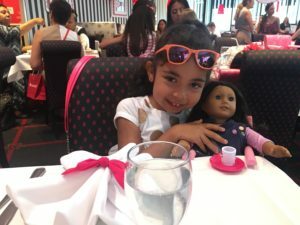 AmericanGirl prides themselves with helping girls becoming their very best today ,so they’ll grow up to be a women who make a difference tomorrow.